A possible 10 mark (no item) question which could come up on the AQA’s A-level sociology paper 2: families and households, section A. This is essentially asking you to criticise the functionalist view of the family. One way is that other institutions, such as the work place and schools are taking over previous functions which the family used to perform. According to Parson’s Functional Fit Theory, families in pre-industrial society used to be ‘units of production’: they produced more of their own food, and the extended-family form worked well for this purpose: several members of one household lived and worked together in order to produce food and basic goods. At this time, the extended family also provided adequate education, limited to teaching children how to ‘work effectively’ as part of the family business. However, with the onset of industrialisation, the factory became the main place of work and so the family lost this ‘economic function’. This also laid the basis for the family losing another function: that of education – children cannot learn the skills needed to work in factories at home, they need to do so ‘at work’. 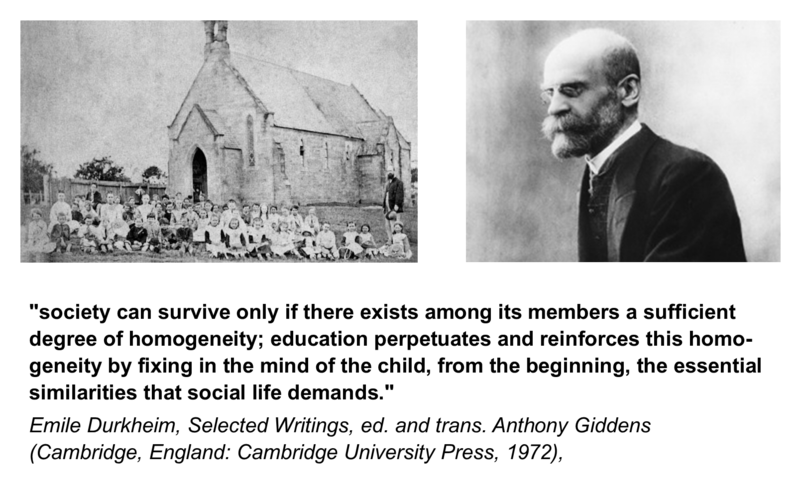 Furthermore, following many more years of industrial development and economic growth, the number of jobs requiring specialist skills grew, meaning the development of primary and secondary education, which left the family only being responsible for ‘primary socialisation’ and formal education largely taken over secondary socialisation. Parsons further argued that one other ‘function’ left to the smaller nuclear family was the stabilisation of adult personalities: that is men and women care for each other in relationships and the family provides ’emotional security’ (although this is criticised by radical feminists for ignoring the fact that women bare more of the emotional burden). A second reason is that the increase in divorce means that families are losing their ability to socialise children effectively as there are more ‘broken families. This view is most closely associated with the New Right who argue that the increase in single parent families means less effective socialisation for children as they have fewer positive role models, evidenced by the higher levels of deviance displayed by children from ‘broken homes’. However, radical feminists interpret this differently – they argue that the increase in divorce is a sign of the family losing it’s ‘patriarchal control’ function – women feel as if they are more able to leave abusive relationships, which is at least partly because changing gender roles means now that most women work, they are able to support themselves. Moreover, IF single parents families are less effective at socialising children, this is because of the governments unwillingness to support single parents in work through appropriate social policies such as providing free child care for working single parents. Finally, it’s also worth pointing out that it is not just single parents who struggle to socialise their children within the family: technological changes such as the growth of social media mean that all parents increasingly struggle to socialise their children effectively.